Kpop-Infinity ♥ OUR INFINITE LOVE ♥: Kangin (Suju) leaves a message for his fans. Earlier today we reported that Super Junior member Kanginis planning to enlist in the military in October. Shortly after this news broke, Kangin left a message to his fans on hisfan cafe. Hello, it’s Kangin. You’re all well, right? As you all know, I’ve been taking some time to think about what I did and to look back at myself. I decided to post this after a couple times of deleting and re-writing. I would like to bow down and apologize to those that loved me and cheered me on. My days have been filled with reflecting on myself, thinking why I ignored important things around me. Fans asking me whether I will be joining Super Junior for the 4th album made me think about a lot of things. And it made me write this. The 4th album is almost complete and we’re all just waiting for the day that we will be able to meet our fans again… and because I think that it is still too early for me to return and that I need more time to reflect on myself, I don’t think I’ll be able to meet with you this time. Military service is a duty for all Korean males, and I’ve been thinking about when I should fulfill the duty myself. I decided that now is the time to do so. The exact date hasn’t been decided yet, but I will be joining the army in the near future. I’ve been cheering our members on and I’ve been thinking that we’re all on the stage together. Please show lots of love for the new album; our members put a lot of effort into it. 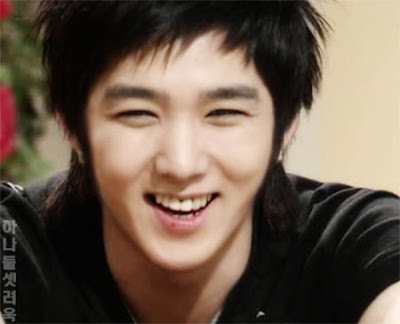 Kangin doesn’t exist without Super Junior, so please show lots of interest and love. I will try my best to be back and be one with the members once again. Please show lots of love for Super Junior, which is the beginning of me and the end, and I wish that our fans stay healthy and filled with luck.